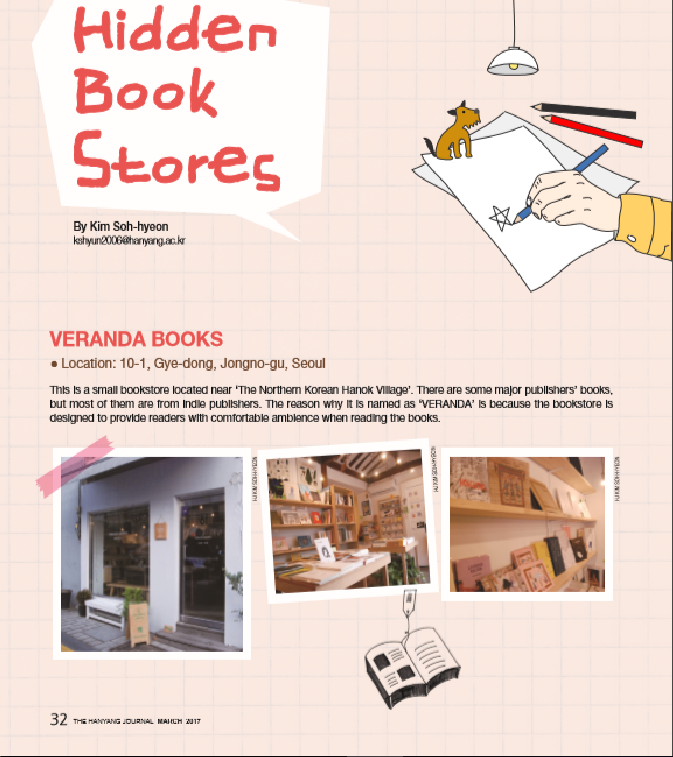 This is a small bookstore located near ‘The Northern Korean Hanok Village’. There are some major publishers’ books, but most of them are from indie publishers. The reason why it is named as ‘VERANDA’ is because the bookstore is designed to provide readers with comfortable ambience when reading the books. This is located near Ewha Womans University. Sometimes, you can join a meeting with an author through a flashmob event at the book store. Also, you can try ‘book-bear’ which means having a drink while reading a book. Now people can enjoy their favorite books while enjoying their favorite drinks. This will be a good place for cat manias. 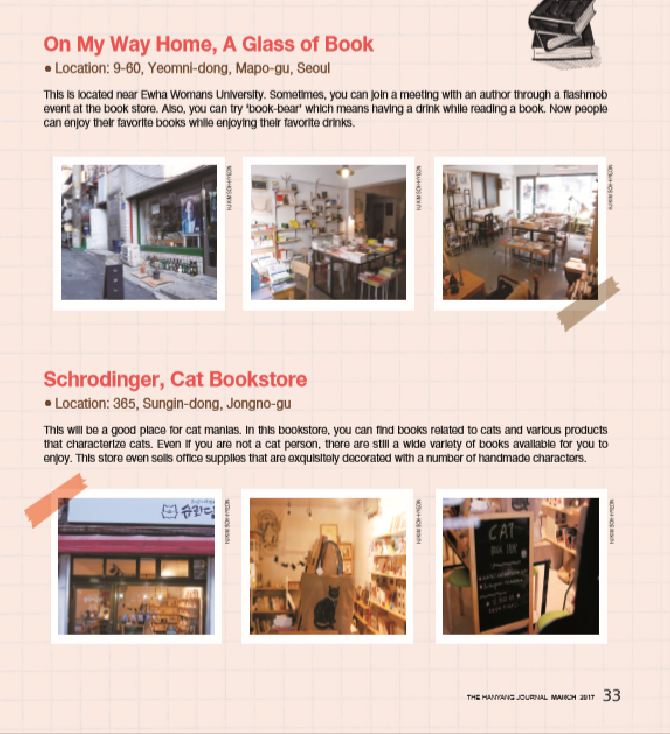 In this bookstore, you can find books related to cats and various products that characterize cats. Even if you are not a cat person, there are still a wide variety of books available for you to enjoy. This store even sells office supplies that are exquisitely decorated with a number of handmade characters.